Pland Stainless has been appointed as the stainless steel supplier for the new Royal Liverpool Hospital with completion scheduled for 2017. 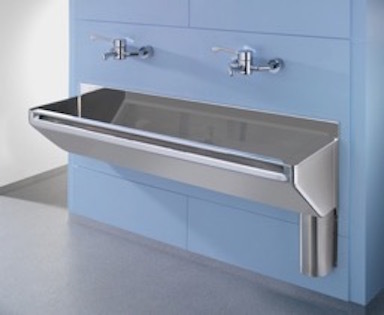 They are to supply stainless steel sinks, slop hoppers, janitorial units and scrub up troughs for this prestigious new development. Pland Stainless, who recently joined the Made in Britain campaign to promote their British manufacturing base, is celebrating this prestigious contract win. “As a British manufacturer we are delighted to have been selected and being based in the North of England, just a short distance from the site makes good logistical sense too.” Said Pland Managing Director Steve Duree.